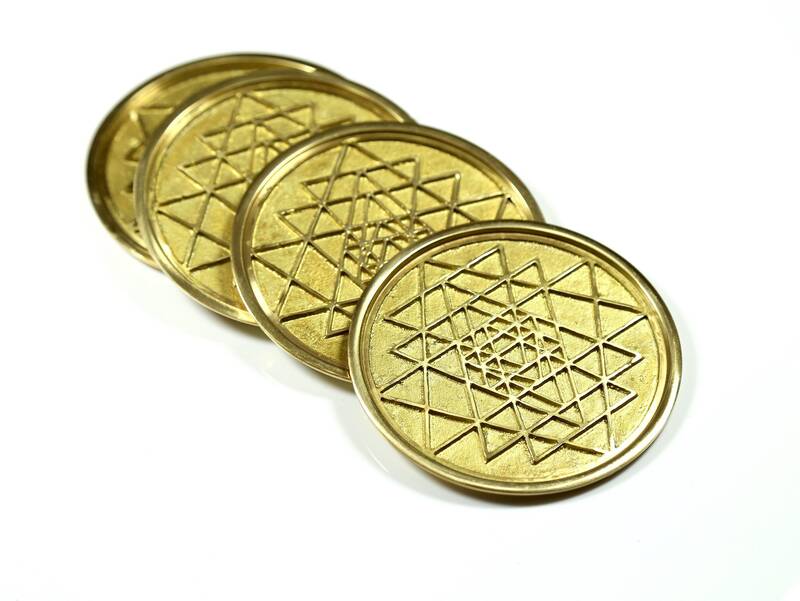 Our stackable Sri Yantra Coaster Set has been designed with mathematical precision based upon the Golden Proportion or Phi ratio, a mathematical relationship found naturally in many great works of art and architecture. The Sri Yantra consists of nine interlocking triangles that intersect to form a web of 43 smaller triangles. These triangles represent the cosmos as well as the divine masculine and feminine. Five of the nine triangles point downwards and represent Shakti, the feminine power, while the four upward-pointing triangles represent the masculine energy of Shiva. The Sri Yantra is known as a tool of manifestation as it helps us gain the clarity and focus to see and achieve our goals. 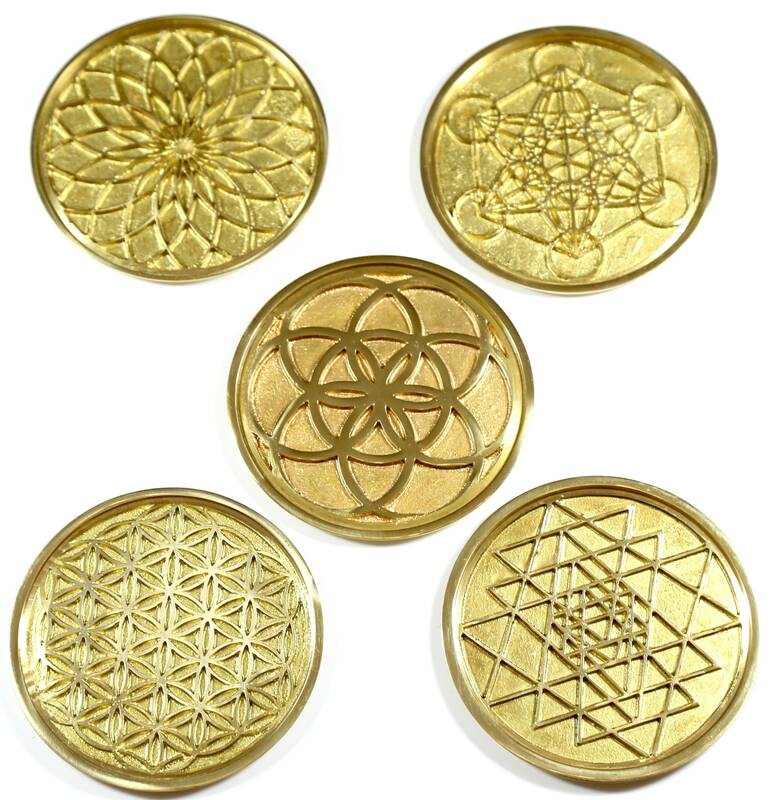 ✦ Use as a coaster to raise the vibration of your food or drink. 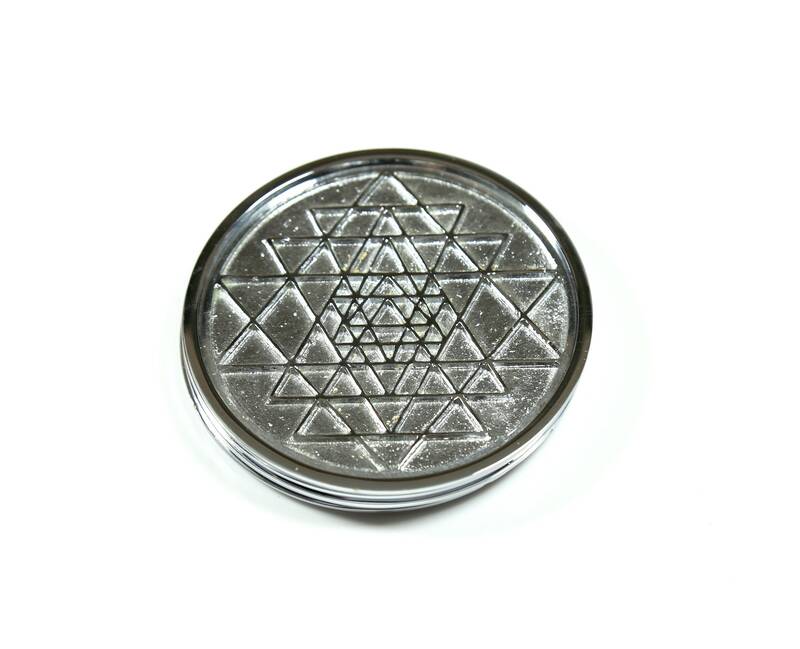 ✦ If you're feeling stuck, meditate on the Sri Yantra pattern to help open your third eye, clear your consciousness and gain clarity. ✦ Give as a birthday, engagement, housewarming or Christmas gift!